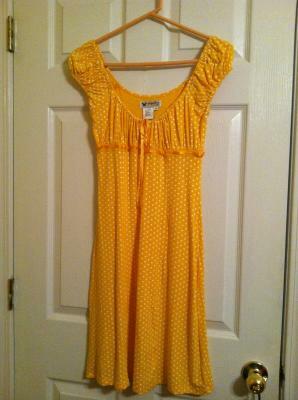 Yellow sundress with white polkadots size small. 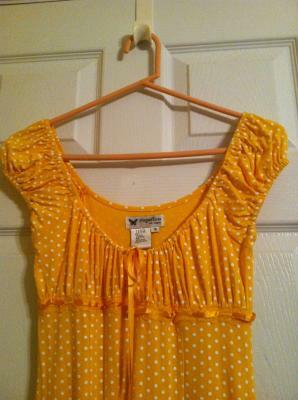 I bought this for a Fluttershy cosplay but wound up doing her gala outfit instead. It is a stretchy material so it has the potential to fit a wider variety of sizes, including my decidedly medium sized bust. Price includes shipping within the US. Paypal accepted.